Children, youth, women and men are active players in all of our projects. We work shoulder to shoulder with families, groups and communities. Together we create learning opportunities to inspire and strengthen their knowledge, skills and capacity; enabling them to take a stand on the issues that affect their progress and well-being. In each community, we address a range of social, economic and environmental aspects that - one by one and as a whole - educate, empower and mobilize people to create lasting and grassroots changes that allows them to live in a healthy environment and to break free from poverty and dehumanizing conditions. We have extensive expertise working with women, youth, immigrant and indigenous groups in rural communities of Belize. We are a multi-ethnic and multi-talented team, passionate about community development. The human talent of HPP Belize works in three offices: Project Office, Partnership Office and Support Office. Every year international students from Richmond Vale Academy volunteer their skills and time to collaborate in the implementation of our projects. 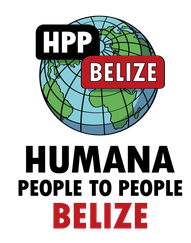 HPP Belize is a one of the 31 members of the Federation for Associations connected to the International Humana People to People Movement. The Federation is a network of organisations engaged in international solidarity, cooperation and development in Europe, Africa, Asia and the Americas.